What you have done is made a "Post" here. To get "more experts" help, you need to "Ask a Question" so that more experts are able to see that you need help. Click the Big blue button near the top of your screen. Hey, EE experts! Have you ever painstakingly typed out step-by-step instructions in answer to a question? If you're using Windows 8, 8.1, or 10, you have a tool that can help with that. Go to apps and hunt down STEPS RECORDER (it's in Windows Accessories). You're welcome. Craig, Jing is good for showing video, but steps recorder actually gives you text. Very useful, very lean when video is not an option. Dear Experts, Hard drive issue... Out of 180 C-drive only 36.1 gb is visible and there is no unallocated issue visible in disk management. It shows one drive very of 180 gb however when I check in my computer it shows 36.1 GB. I TRIED using third party disk management and almost all of them shows 180 or 36.1 drive as unformatted. Please note, I can't format the drive as some very important monitoring tools are running on this machine which cannot be migrated on another computer. This is happening on Intel nuc machine, windows 10 on a domain system. Anil, looks like you meant to post this as a question. MDT 2013 windows 10 Image crashed after first login. Administrator account is disabled. And your point is? Nobody is complaining when Echelon spy on everyone else. For all you people who turn Updates OFF. 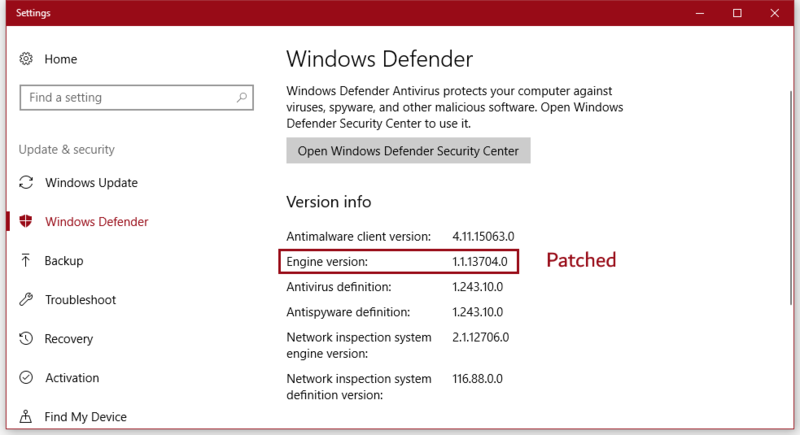 Patch Tuesday today and miles of patches. BIG ones for Windows 10 and 7. Updates for XP and Servers. Hop to it. There is no issue with having manual updates and checking weekly (servers). My barb above was aimed at people who turn updates off and leave them off. Then they come in here wondering what happened. Using 2003 or XP? Something older? I have little sympathy for you. Things get old. Software is constantly evolving and those creating it utilize new features and capabilities that (in theory) bring you more capabilities and ease of use. It's impossible for any software developer to support everything they've ever created indefinitely. Their abilities to continue innovating would grind to a halt. Even for the largest of companies, like Microsoft. They MUST cut off support at some point. Microsoft has, it would seem, set this standard to 10 years. Given how long that is and the advancements that can be done in 10 years, in my opinion, that is reasonable. XP and Server 2003 are now 14+ years old. WELL BEYOND their support life. Now I'm confident Microsoft doesn't actively seek to "break" their newer products ability to connect to the older, now unsupported ones, but I would say it's reasonable to EXPECT they no longer test and see if a Windows 10 computer can connect to a 2003 domain. They MAY, at points, decide to remove functionality from 10 but I'm confident they do so to improve security. And if that aspect that is removed happens to be the "main" way something was done in an older version that is no longer supported? Well, they warned you! Ten years is a reasonable time frame. If you're using what is now antiquated technology, I have little sympathy. I suppose in the end that what it boils down to is whether you consider safety a function of software or not. I would say not. But if you do, the problem is in measuring how safe it is and I don't think you ever can. You can throw a battery of tests at it, but what's safe today may not be safe tomorrow. On the flip side, upgrading is no guarantee of being safe either. To use your car analogy, if my new vehicle uses a Takata air big, then I'm not very safe am I despite that I now have an air bag. So do I use "safety" as a measure in the decision to upgrade or not? I don't see how you can. One could even make the argument in general that by upgrading into a situation with more complexity then what I currently have, I will probably be less safe than I am now (more complexity = more potential holes). So in regards to safety, not upgrading may be a better choice. Sometimes, the Devil you know is better than the one you don't. To wrap this up, I don't think there are any simple answers here of course, but I don't hold it against people for not wanting to upgrade. I also don't think software vendors should sunset support for products they release. If someone calls me on something I wrote 15 years ago, I'm not going to say "sorry, can't support that" just because it's old and they decided to keep it. Funny, as I was formulating my response to you yesterday, I was going to include a reference to the Takata airbag thing - any time you add new capabilities, you get more complicated and though overall safety can improve, it can also, in some circumstances, become less safe. I believe there is a net benefit (both with airbags and with new software's increasing complexity). I guess it depends on how you value things. To me, safety (security) is extremely important. And I think most people should feel that way. As such, people need to take responsibility for their continued existence and accept how technology generally (and technology companies) generally work and the economics attached to it. 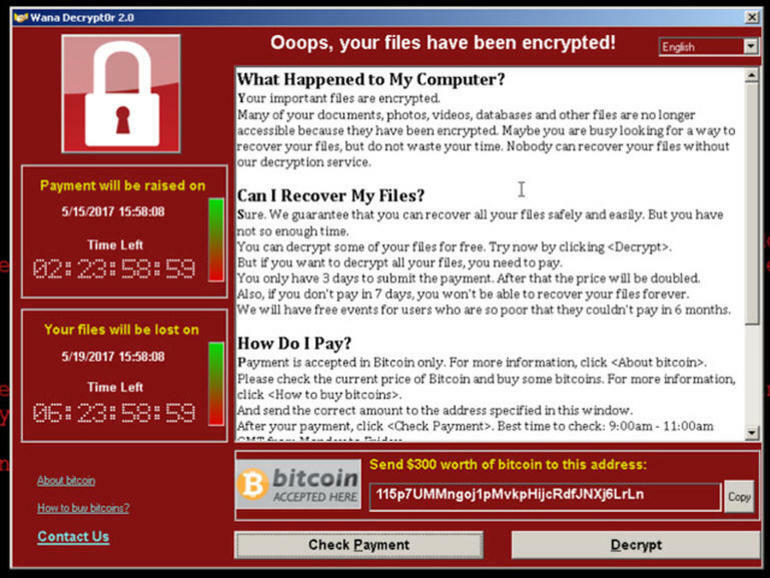 WannaCry... I really wanna cry... this whole thing is insane. No, I've not been infected... nor have any of my clients. And yes, it's still possible some of my, shall I say, lesser attentive clients could be infected tomorrow or at some point in the future. But this whole thing is driving me nuts. It wouldn't be a story if IT management had taken security and patching seriously. The malware uses an exploit patched two months ago. If people patched regularly, nothing would be infected. I hate to say this - largely because the policy annoys me and has seriously inconvenienced me on more than one occasion - but this is exactly why Microsoft has started forcing Windows 10 computers to patch and reboot on a monthly (or more frequent) basis. 150 Countries affected and at least 250,000 devices, and $48,000 paid so far in Ransom monies! a little bit busy at present!!!! 3. Whitelist of apps which are allowed to run! Is there any problem after installing it on the production server? Ran into a problem today when trying to install Windows 10 Feature Updates on an Full Disk Encrypted (FDE) system. The machine had DESlock+ installed onto it and was refusing to install the latest Build. When the Utility Runs, you need to point it at the mounted Win10 ISO. It will then complete.